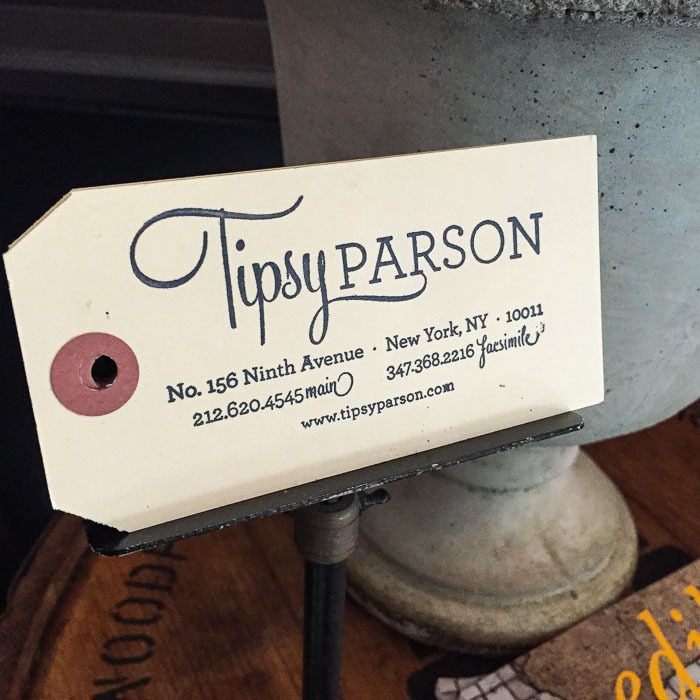 If you're in the Chelsea area and like southern food, make sure to stop by Tipsy Parson! 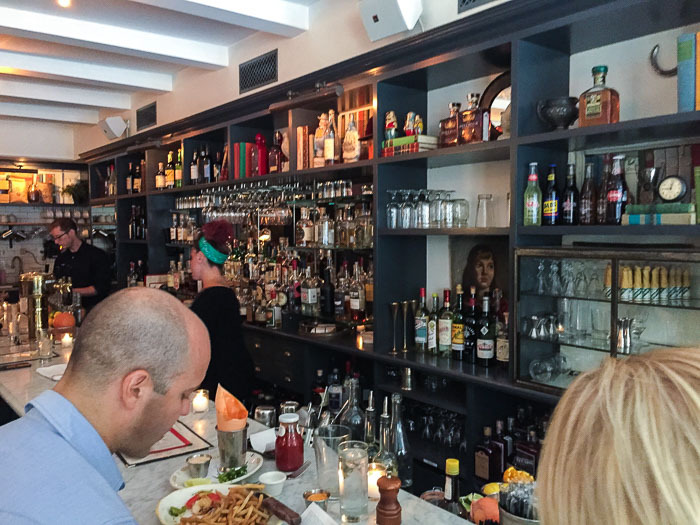 It's one of my go-to places for drinks with the girls, dinner with the boys or snacks after work! How cute is the wallpaper?? 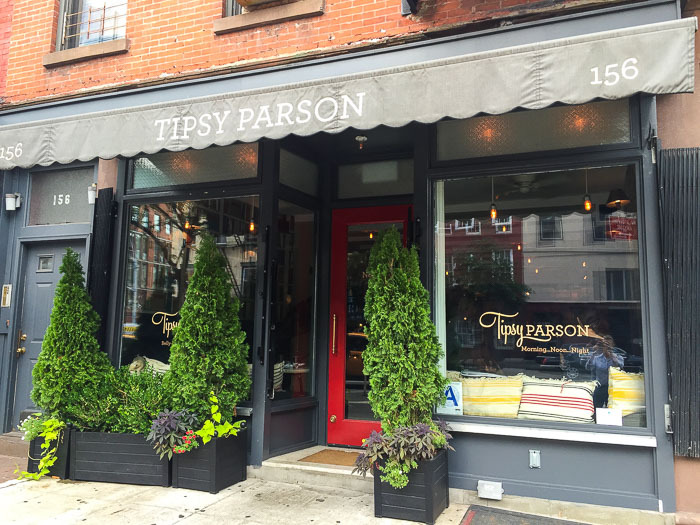 I originally found Tipsy Parson because it was near work and I love trying new places. 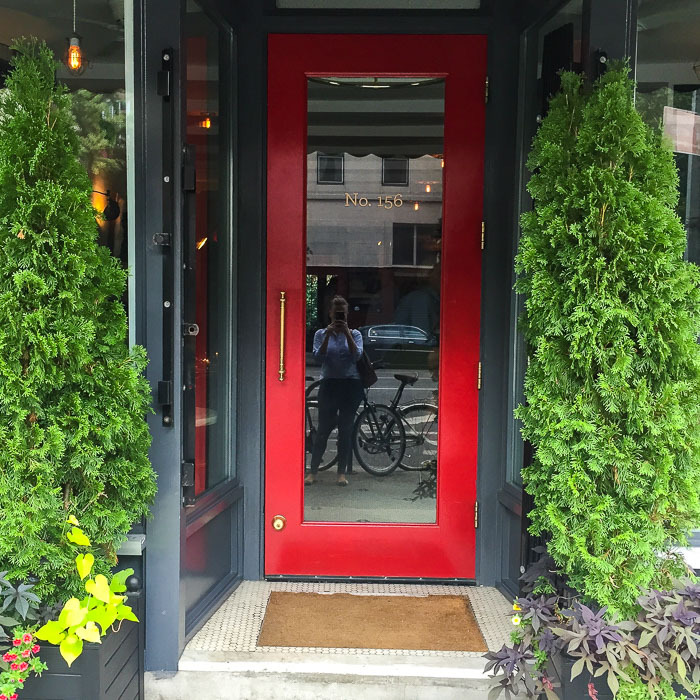 Their bright red door caught my eye and I decided to try it out. I've been more than a handful of times but don't go too often because it's on the pricey side (but totally worth it). 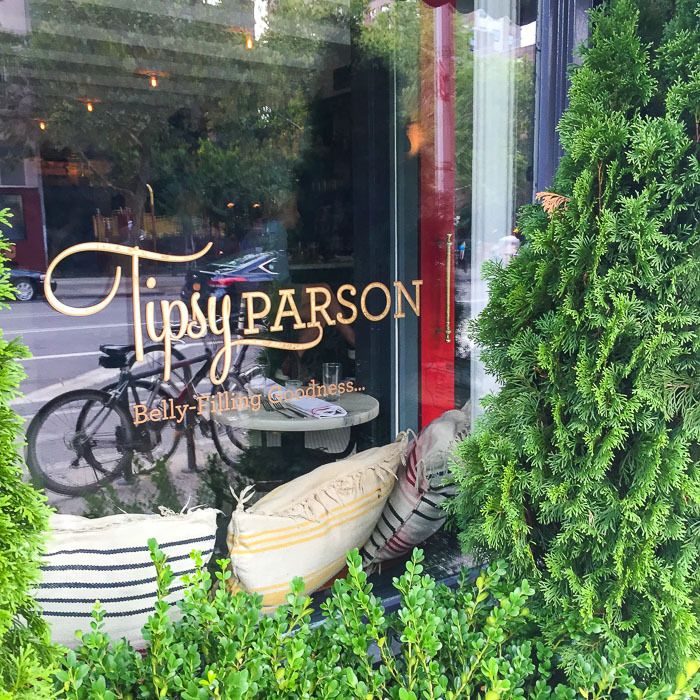 The other week, I suggested Jillian and I meet at Tipsy Parson for a few snacks after work (their snacks are seriously the best). It was the perfect amount of food (I had a late lunch) and it was all sooooo good. 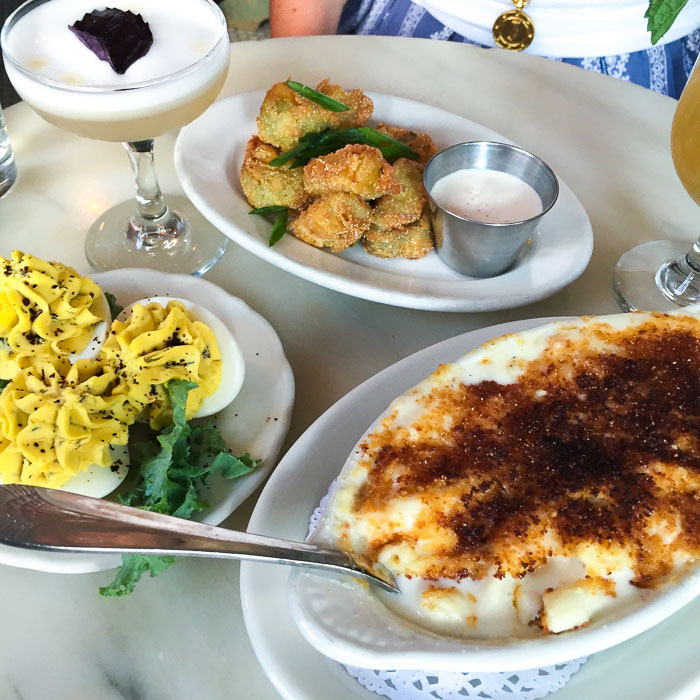 We ordered the deviled eggs, the mac and cheese and the fried pickles. 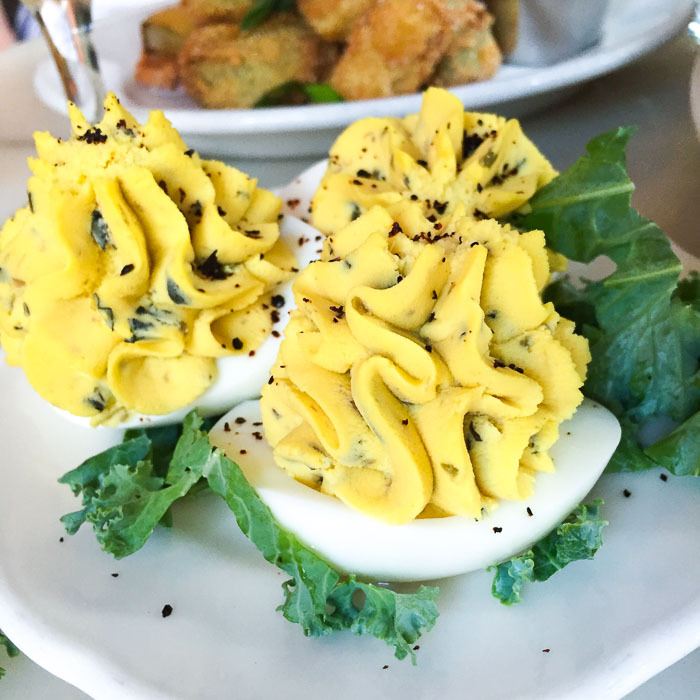 I think my favorite were the deviled eggs (but not by much)! They serve brunch, lunch and dinner. 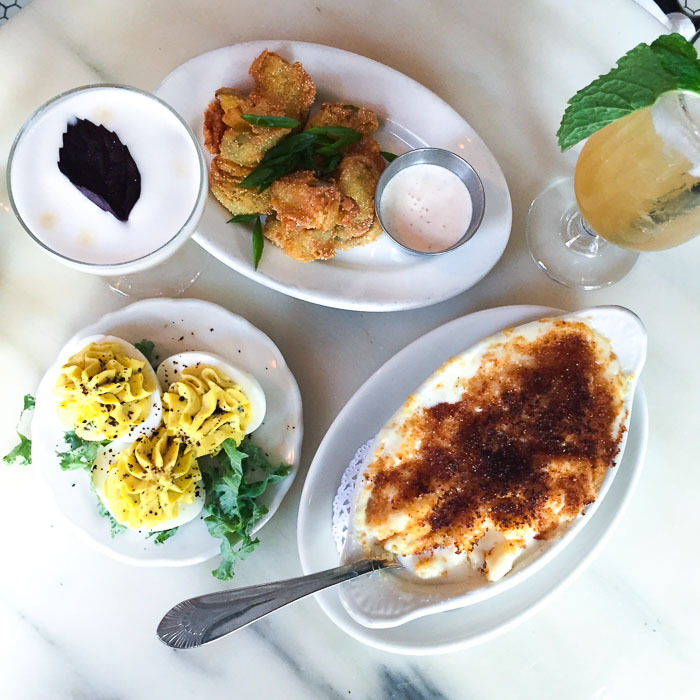 I've never been there for lunch, but I can attest to their brunch as well as their dinner! And for dinner one night with Olivia, I chose the fried chicken. So I'm basically a seasoned pro with their menu and I have yet to order something I don't love. The place also has a really cool trendy laidback vibe. I highly suggest it if you're in the area. You can check out their menu here! How to get there: Subway (A, C, E) 23rd or 14th street stop or cab. 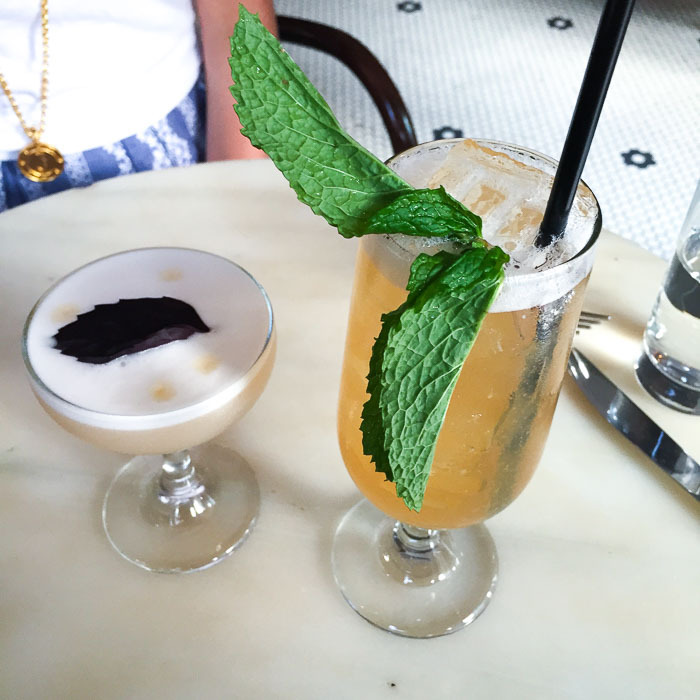 Must Order: Tipsy Parson with bourbon! So good! 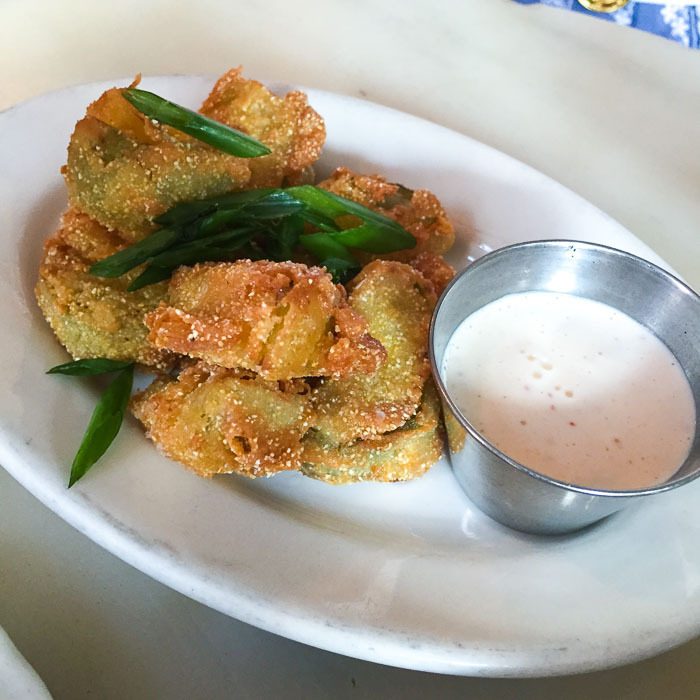 I went there a couple of months ago and definitely recommend the shrimp & grits, the fried pickles and the mac & cheese. What a fun restaurant! 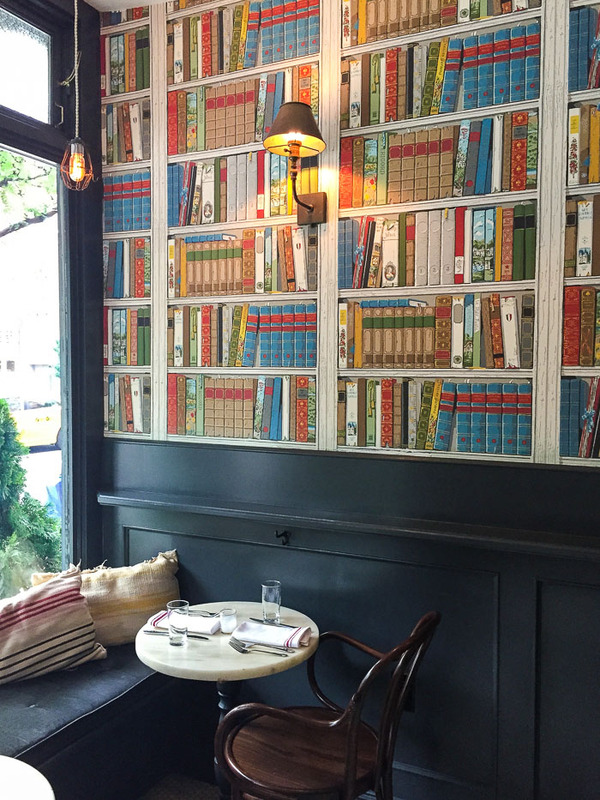 I love the book wallpaper! I love your NY restaurant series. Great reference for when the hubs and I go in. I have been a long time reader of your blog and just love it...one if my top 5 to read. And yes......I love the wallpaper too! Oh my gosh this all looks DELICIOUS; makes me want to hop on the next flight to NYC and take an eating vacation haha.